In 2009, Edie had New York’s social world in her thrall. Mercurial and beguiling, she was the shining star of a group of recent graduates living in a Brooklyn loft and treating New York like their playground. When Edie’s body was found near a suicide note at the end of a long, drunken night, no one could believe it. Grief, shock, and resentment scattered the group and brought the era to an abrupt end. A decade later, Lindsay has come a long way from the drug-addled world of Calhoun Lofts. She has devoted best friends, a cozy apartment, and a thriving career as a magazine’s head fact-checker. 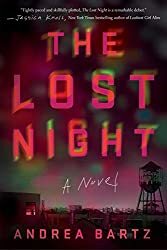 But when a chance reunion leads Lindsay to discover an unsettling video from that hazy night, she starts to wonder if Edie was actually murdered—and, worse, if she herself was involved.